I'm pretty sure that everyone who loves to read has certain things that will make them automatically want to pick up a book. 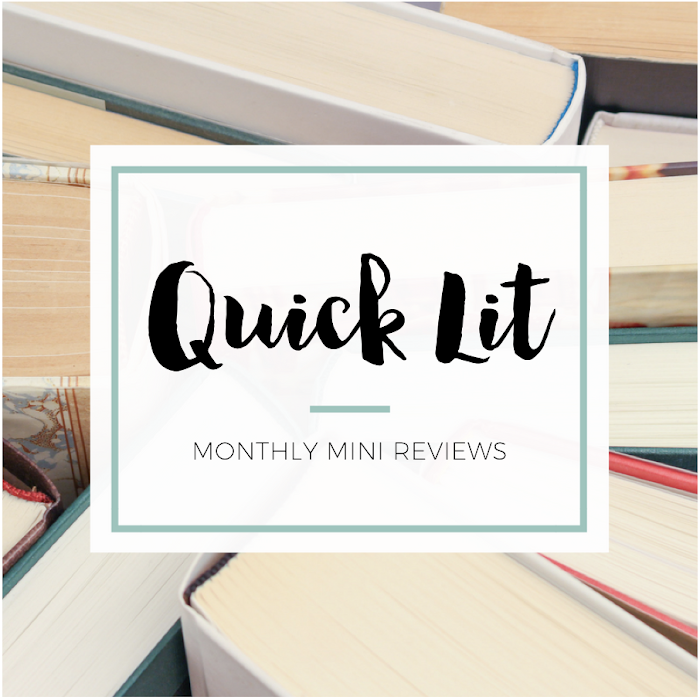 I call them book hooks - the topics or time periods or themes that are right up your alley and are practically guaranteed to make you add a book to your TBR pile. One of mine is Jane Austen. But there comes a moment in every reader's life where you have to decide how committed you are to a book hook. For example, I love books about sisters but won't read a book solely for that aspect. However, Jane Austen is a different matter entirely. My obsession with her has led me to read numerous Austen retellings, a wide variety of non-fiction about her life and her works, and even a book with Jane as a vampire (which was pretty entertaining, actually). 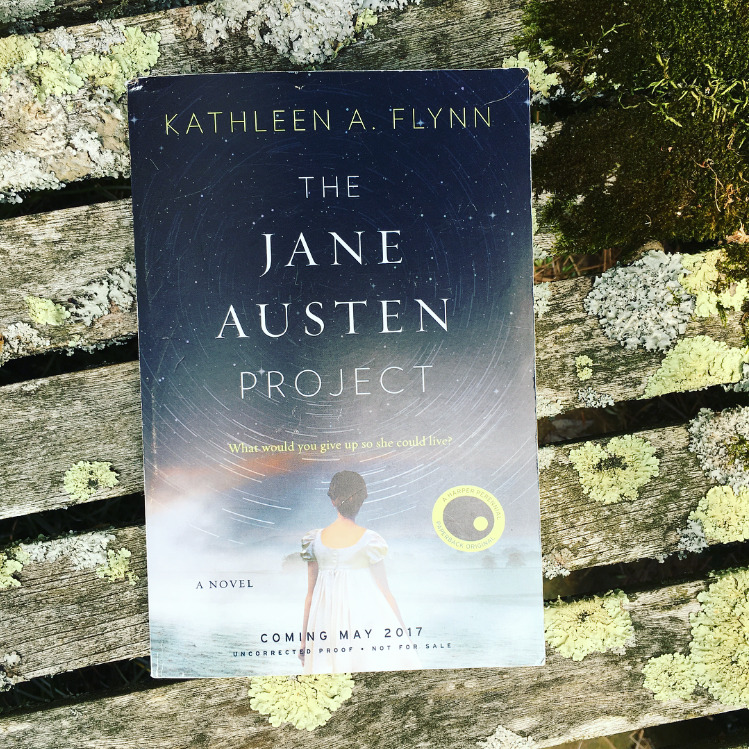 So, when I heard about The Jane Austen Project by Kathleen A. Flynn, I knew I was going to have to read it. After all, Jane Austen + time travel was a combination that totally piqued my interest - especially when the publicist said it was just so good! Honestly, so much could have gone wrong with this novel. And I have to admit that I kind of expected it to. I was intrigued by the summary when I started it, but I had pretty low expectations because I've been let down by so many Austen-related books before. That's the risk you take when you follow a book hook into uncharted territory. However, I'm so pleased to be able to say that The Jane Austen Project far exceeded my expectations - and is already one of my favorite reads of 2017! Now, let me tell you why. 1. It's not an Austen retelling. Although I'll read almost anything Austen-related, I can't deny that I've gotten so sick of retellings of her novels. I think it's difficult to approach Austen's well-known stories in a way that doesn't feel predictable and actually brings something new to the table. Thankfully, The Jane Austen Project was so unique - an addition that felt fresh and surprising in all the best ways! If you want a new approach to Austen, this is it. 2. The inclusion of Jane Austen never felt like a gimmick. In addition to retellings, I've read a few too many books where Jane Austen was a character and yet seemed wildly different than I'd ever imagine her or seemed like she was tossed in there as gimmick just to snag readers. That wasn't the case in this book! I loved that Austen wasn't the main character, but she wasn't sidelined either. Flynn's depiction of her seemed so close to how I like to picture her - intelligent, witty, and sharp-eyed. 3. The somewhat mysterious future was intriguing. Rachel and Liam travel back to 1815, but they aren't leaving from our present day. Instead, they're leaving from a future where time travel exists. Although Flynn doesn't spend a ton of time discussing their world, she provides enough details that you can see the differences - and can almost imagine a novel dedicated to exploring the future she's created. Some readers may want more info about it, but it was enough for me. 4. The time travel element actually works. Readers who love science fiction novels may find the explanation of time travel slightly lacking in the book, but I'm not sure because it's a genre and theme I rarely read. For me, the explanation answered my biggest questions without going into so much detail that I felt confused or overwhelmed. And I loved the reason behind their journey to the past - I totally believed that someone would travel back to recover a lost Austen novel! 5. 1815 actually felt right. One of my favorite parts of the book was the setting. Flynn brought 1815 to life in all the ways I was hoping she would when I first started the book. I could tell how much research went into the novel because the time period felt so authentic. I have an above-average interest in those years due to my love of Austen, and yet I still found myself learning new things about that time and place. I could close my eyes and picture it all! 6. The Austen family was depicted in a believable way. Rachel and Liam befriend Jane Austen in this novel, but they also meet her sister Cassandra and several of her brothers. In fact, they initially develop a friendship with her brother Henry in order to gain an introduction to Jane herself! I really liked seeing the family dynamics, especially between Jane and Cassandra. I told you I'm drawn to stories about sisters! Meeting the family added a deeper sense of realism to Jane's world. 7. The theory on Jane's unknown medical condition was fascinating. If you're interested in Austen, you probably known there's a bit of a mystery surrounding her death. She died quite young (41) after an illness that began in 1816. Although details exist regarding her symptoms, it's impossible to know exactly what ailed her. The most common theory is Addison's disease, but other possibilities exist. But Flynn's Dr. Rachel Katzman suggests something entirely different, and I loved the theory! 8. I loved seeing how their journey disrupted history. Rachel and Liam are tasked with traveling back in time and recovering a lost Austen novel while being as careful as possible not to change the past too much. Any disruption in the past - no matter how small - can have a profound impact on the future. It's one of the things I find so fascinating about books that incorporate time travel, and Flynn explores it to great effect in these pages. At the end you'll wonder - was it worth it? 9. Rachel Katzman was an excellent heroine and a great anchor for the story. I've spent so much time talking about the setting and the Austens, but I've barely mentioned Rachel (and Liam, too). I enjoyed exploring the past through the lens of her perspective. I liked the way she mentally acknowledged the restrictions on women in the past without barging in and acting thoroughly modern. I liked the reasons she was driven to sign up for this mission and the way she struggled with aspects of it while there. 10. The ending left me wanting a sequel! 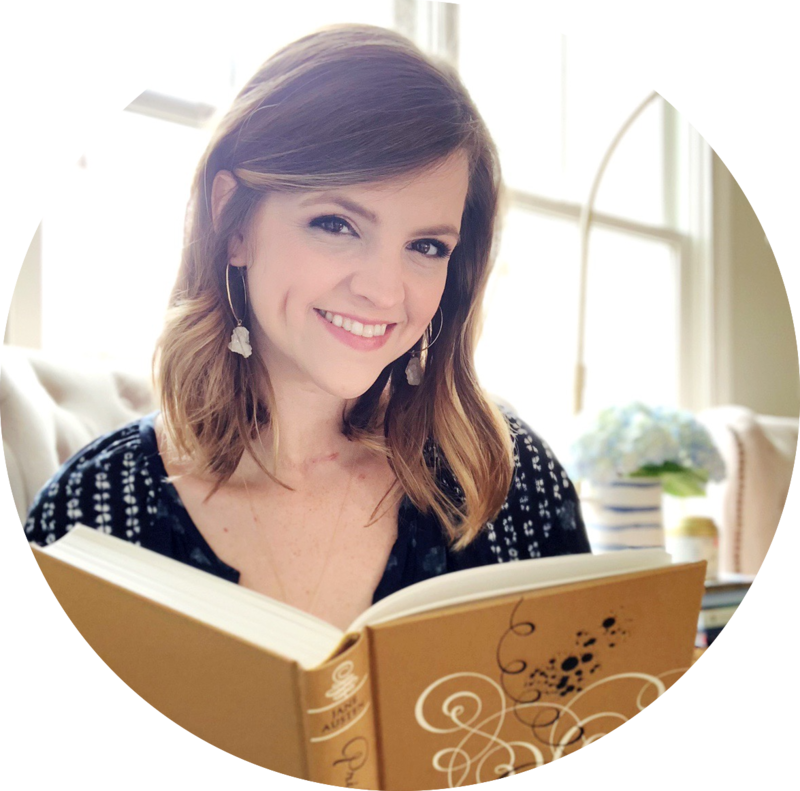 A part of me wanted just a little bit more of Rachel's story at the end because I would have loved a firmer resolution to a particular relationship, but I wasn't disappointed or frustrated. It's just the nosy part of me that wants to know more! However, Rachel's references to The Brontë Project made me long for a companion novel with that time period and family. There are so many possibilities that could be explored! Can you tell just how much I loved reading this book? As an Austen lover, I can be an easy sell but a tough critic when it comes to books involving her. Thankfully, this one didn't disappoint. Truthfully, it was delight! I could nitpick a little on the romance, but everything else more than made up for it. I hoped The Jane Austen Project would live up to its eye-catching cover and unique premise, but it truly surpassed them and surprised me every step of the way! Flynn's well-researched writing brought this world and these characters to life in an unforgettable way, and I highly recommend picking up this book if you love all things Austen. "When you dislike someone, and yet you're attracted, your mind does strange things. Every good feature becomes another strike against them." I really feel like the concept of this novel is sooooo fascinating. I'm not necessarily as big an Austen fan as you are, but I certainly think this sounds like fun and something I might want to check out in the future!